It’s the first we’ve heard of it, but a New Year’s Eve tradition in The Netherlands called Carbidschieten sounds like it’s just up our alley. Basically, a small chunk of calcium carbide and a little bit of water is placed in a metal milk churn. The carbide decomposes into acetylene and a flame is held up to a small hole in the milk churn. The resulting explosion sends the lid of the milk churn across a field and much fun is had by all. [Edwin Eefting], [Johan Postema], [Elger Postema] are exploding 1000 liters of acetylene this New Years and needed a safe way to detonate their celebration. They came up with an electronic ignition system based on an Arduino that probably makes just as much noise as the explosion itself. The build is basically an Arduino with a few relays. When a pair of buttons are pressed for longer than a second, the Arduino goes into countdown mode with the requisite alarms and ringing bells. When it’s time to fire the carbide cannon, a power supply is turned on that heats up a glow plug, igniting the acetylene. It’s a great build, and adds an adequate amount of safety for an event involving exploding 1000 liters of acetylene. You can check out the videos of the countdown timer after the break, or check out the Facebook group here. Lasik eye surgery is pretty common these days, but there are of course easier and cheaper ways to solder SMD components. [techpawpanda] wanted a video camera to see what was going on when he placed and soldered very tiny components on his board, but commercial SMD video cameras were terribly expensive. He wound up using a USB microscope to place and solder these tiny parts, and we’re thinking his SMD soldering station is the bee’s knees. [techpawpanda]’s video-based SMD station is built around a USB microscope available at the usual online retailers for $40. This camera is mounted on a wooden base with a USB hub allowing the camera to be plugged in along with a few USB LED lights and a USB fan for a rudimentary form of fume extraction. The results are impressive – even at 11x magnification, [techpawpanda] can put paste on pads and place even the smallest SMD parts. All this in a device that is small enough to fit in a shoe box, or be tucked neatly away whenever it is not needed. 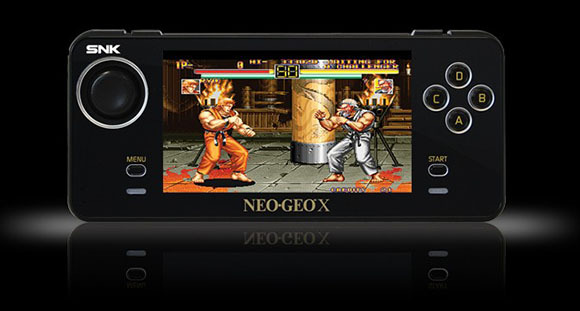 In case you weren’t aware, there’s a new Neo Geo console on the block. It’s called the Neo Geo X and brings back more than a few pains of nostalgia for classic arcade games of the 90s. After receiving their brand new Neo Geo portables, members of the Neo Geo forum decided to do a teardown on one of their newest consoles and found something interesting: this thing was made for hacking. Officially, the Neo Geo X will get new games released on SD cards. The first run of these consoles – the gold edition – have 20 games preloaded onto the system convientently stored on a microSD card buried underneath the screen. After looking at this microSD card, forum user [Lectoid] discovered the 20 preloaded games and the bios for the system, all completely unlocked and ready for hacking. Already a few forum members have the AES Unibios running on this tiny portability Neo Geo, giving them the capability to play every Neo Geo game ever made. Since the Neo Geo X uses the same processor as some other handhelds, there’s great hope for completely unlocking this new console and running emulators on it. Any time a media outlet or conference wants an expert on 3D printing there are two people to turn to. The most famous is [Bre Pettis] of MakerBot. The other is an awesome guy named [Prusa], designer of the most popular RepRap and possibly the most popular 3D printer of all time. He’s been putting his fame to use by interviewing all the big names in 3D printing and putting them all up on his YouTube account. First up is [Kliment], RepRap core dev and creator of the Sprinter firmware and Pronterface host. [Ruben Lubbes], RepRap community guru, tells [Prusa] about his collection of RepRap parts from famous RepRappers. It sound like a quite interesting collection that’s probably very valuable from a historical perspective. Who knows, in a few years it could be as interesting as [Gutenberg]’s first printing press or [Tim Berners-Lee]’s NEXT cube. Next up is [Tonokip]. He developed the original Tonokip firmware, the firmware that all major RepRap firmwares are based on. [Prusa] also interviewed [Jordan Miller] a.k.a. [jmil] of the Philly hackerspace Hive76 and the University of Pennsylvania. He made his name in the RepRap community for 3D bio printing. Wrapping up the most interesting people, there’s also an interview with [Sound], developer of the Slic3r firmware. We’ve seen an interview of [Sound] before, and this interview continues the earlier one by talking about multiple extruders and how awesome the RepRap community is. Lastly, and unfortunately, is a short video of [Prusa] interviewing me at the world Maker Faire last September. [Prusa] is a huge fan of Hackaday, so this interview is just two guys being star struck at each other. Actually, the 2012 World Maker Faire had the largest number of current and former Hackaday alumni in one place ever. A group interview of [Ian] (now of Dangerous Prototypes), [Phillip Torrone] (Adafruit), [Phil Burgess] (Adafruit), current Hackaday boss man [Caleb] and myself would have been awesome. We’ll try harder next year. You can check out the good videos after the break.